Sophistication, luxurious finishes and femininity define the Sunflowers, a micro-taffeta floral print outerwear piece with, ruffles and precious inlay details. 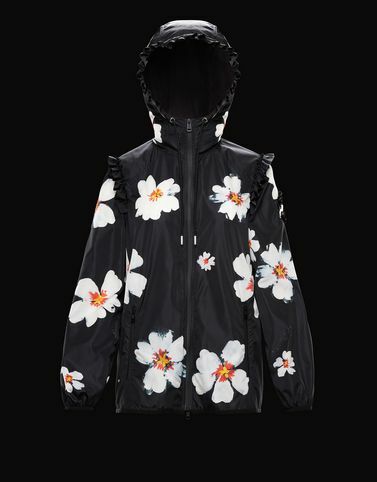 An example of style by the 4 Moncler Simone Rocha line, collection n°4 of the Moncler Genius project, that imagines a woman intent on caring for her English garden without sacrificing elegance and femininity. Hand wash; Do not bleach; Do not tumble dry; Ironing maximum temperature 110°C - without steam; Do not dry clean; Do not professionally wet clean; Dry flat; Wash separately; Do not twist or wring; Do not iron decorations; It is advisable to wash and iron with the garment on reverse.